An overview of the top 10 company brands in the industry. Scroll down for our in-depth access control system reviews. Among these, several are access control system manufacturers, too. There are dozens of door access options for your organization. Ranging from expensive, local systems that run on your unique server to customizable cloud-based access control systems that contain hundreds of features and over-the-air (OTA) updates. Large enterprises can choose to pay thousands of dollars up front for a local control panel system, while small businesses can find systems that offer monthly billing to fit their budget. If you're looking for tailored solutions to cater to the complex needs of an enterprise, check out our review of the access control brands best known for their ability to serve enterprise clients: Genetec, Lenel and AMAG, to name a few. Managing your contacts didn’t used to be so difficult. When you started your business, you had a handful of suppliers and customers, and a small enough team that you could memorize all their email addresses. 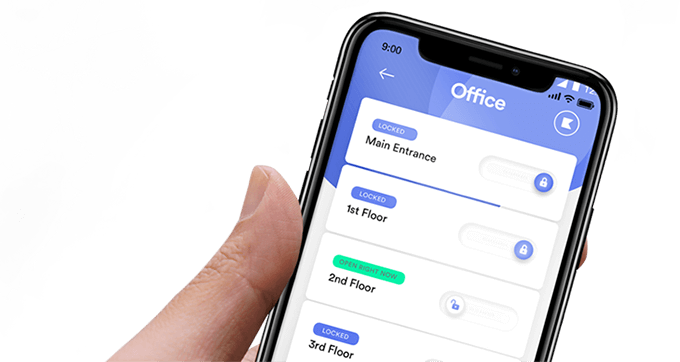 Kisi's cloud-based physical access control system operates purely in the cloud, making it an IP access system for businesses. It also has many software integrations with CRMs, coworking management platforms, and IP video systems such as Ring. The entire Kisi system can be purchased on the Kisi website. This allows you to purchase hardware, software, and includes installation coordination services to hire a professional locksmith company in your area. Support is provided over the phone and on LiveChat. Support documents and training materials are thorough. It’s easy to use, efficient, and it does away with all the complicated wiring that has become synonymous with access control systems; therefore, setup is easy. The electronic lock units are battery powered, stand-alone systems. • They are not privy to cloud updates without physical, onsite access. • Salto units have to be installed with Salto locks. • Salto could prove to be a problem when your business requires replacements and repairs. Kisi, since it's cloud based, is easily accessible through cloud updates and Kisi’s vendor-friendly system makes it compatible with other types of locks. ISONAS works with minimal hardware, making it lightweight and easy to install. It is a pure IP Access Control System for global businesses and organizations. ISONAS’ system is lightweight, with all credentials stored on-site within its readers, making offline access a possibility. They offer two readers, which include a proximity card-only version and proximity card plus a pin pad. ISONAS can retrofit old panel-based systems into an IP system, which works with their branded Pure IP management software. Readers are compatible with ISONAS proprietary cards and key fobs as well as third-party credentials. • The ISONAS does not pair with fire and alarm systems. • Since it's lightweight, it only performs the most basic functions. Kisi integrates fire alarm systems, providing you with a complete security solution, while offering advanced door-control options. Bosch Security Systems offer services in security and communication products that focus on video surveillance, access control, intrusion detection, fire detection, and voice alarms. • Bosch depends on local partners for distribution, sale and after-sale services. Kisi offers product installation and support. ADT is an international company that provides electronic safety and access control security solutions primarily to residential units. ADT focuses on keeping homes safe from a variety of elements, such as break-ins, fires, and floods. It also provides a one-to-many solution for homeowners who want to create a smart home environment, allowing them to connect a variety of home appliances and IoT devices to the physical access control system. •	The ADT system does not offer mobile device or biometric credentials. •	The system is optimized for small scale businesses; implementing it for medium or large-scale businesses might prove to be a challenge. Kisi offers flexible options, including mobile, card and biometric access control suited for small, medium and large-scale enterprises. Kisi clients can choose to use Kisi Passes, designed as a more secure version of the regular traditional proximity card, which could expose your organization to breaches if they fall into the wrong hands. 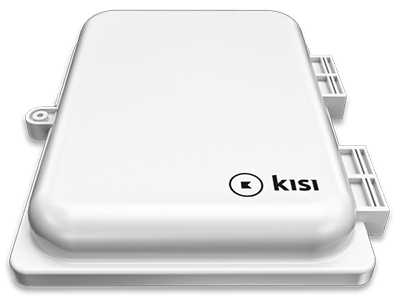 Kisi’s readers are powered by ethernet (PoE) and will soon offer offline caching for emergency scenarios. The entire Kisi system can be purchased on the Kisi website. They allow you to purchase hardware and software, and provide installation coordination services to help hire a professional locksmith company in your area. Support is provided over the phone and on LiveChat. Support documents and training materials are thorough. Schlage is a lock manufacturer whose history dates back to the 1920s. Nowadays, the range of the company’s products has increased from keys and locks to biometric terminals, proximity card readers and access control software. Paxton Access Inc. is a global manufacturer of IP-based access control solutions and door systems, known for its Net2-range and Switch2-range configurations, which include door entry units, control units, readers, accessories, installers, and other components. The software is compatible with Windows only OS, limiting the application for users who have other operational systems. Net2 Open Doors iPhone app and Net2 Anywhere have been discontinued so there is currently no mobile access control app. Identicard utilizes customizable ID badges and credentials for your employees. However, Identicard sources readers from other vendors. • it leaves a lot of gaps in terms of safety and security. Honeywell has experience with security products, so it has clout when it comes to access control. Their system allows you to pick and choose security products in the market, according to your businesses needs. • Exposure to serious security breaches due to its piecemeal approach. • Honeywell leaves a support vacuum, leaving your business to rely on a local vendor's experience and knowledge. • The door panels are installed by local partners and require Honeywell’s WIN-PAK access control system to manage credentials and generate reports. • Honeywell does not offer a mobile app for unlocking doors through mobile credentials. 1. Kisi integrates with fire alarm systems, making for a whole security solution, while offering advanced door control options. 2. Kisi offers around the clock support, eliminating the need for product support from local vendors, and also offers a mobile interface to unlock doors using mobile credentials. Controlling access to your space can be provisioned in a number of ways. Mobile access credentials are an up-and-coming solution to provide a modern and secure way for authorized key holders to access specific doors. The benefits of mobile credentials include added convenience, increased security, and remote control of a physical location. 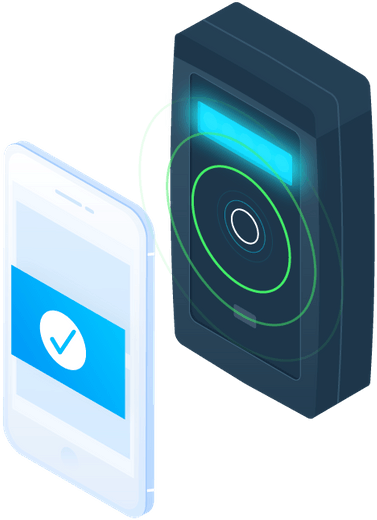 Most mobile credentials use near field communication (NFC) or Bluetooth low energy (BLE) to authenticate a phone and grant access to the visitor. Access is usually managed in the cloud with one primary administrator granting or revoking mobile credentials. 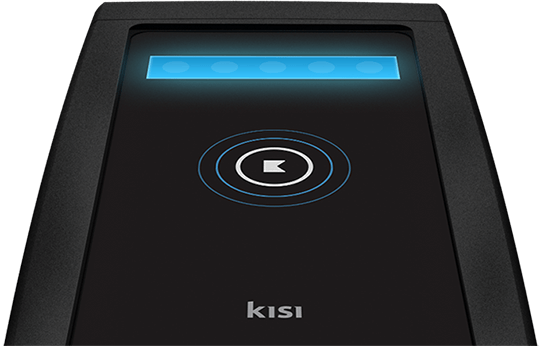 Kisi offers a range of options for the access control system, including mobile apps available on Android and iOS platforms, that communicate with the readers using Bluetooth and NFC technology; therefore, the user is afforded the flexibility of using their mobile device as identification. HID Global provides mobile phone-based credentials based on Bluetooth and NFC technology. HID cards allow the integration of nearby proximity readers with other access control systems. Creating security identities and management of these personas are strengths of HID Global Mobile Access. Unique features include the quality of its products, innovative design, and industry leadership. OEM's come to HID, as well as developers and integrators, to integrate HID mobile access into their security projects. It is worth noting that HID's mobile access passes are a great alternative to hackable HID cards. Navigating the maze of selecting a suitable access control system can be intimidating. There are dozens of options for your organization, ranging from expensive local systems that run on your personal servers, to customizable cloud-based access control systems with hundreds of features and over-the-air (OTA) updates. You could easily pay thousands of dollars up front for a local control panel system, or find something that offers monthly billing to scale with your business and suits your budget. The type and size of your organisation should also be considered when making a decision.